The importance of Google to any online marketing strategy isn’t up for debate. The search engine is a huge part of the way people look for answers, do their shopping and live their lives. What is still debated by online marketers is the relative value of the two options brands have for showing up in Google: search engine optimization (SEO) versus pay-per-click marketing (PPC). SEO and PPC both deliver the same ultimate result: higher visibility in Google searches. But they require a different skill set and approach. SEO involves a complicated long-term strategy that includes content marketing and link building, while PPC employs daily bidding and more data analysis. For years marketers have had discussions and tracked data to try and determine the answer of how SEO and PPC stack up against one another. But the real answer is that for any business that wants to show up in Google searches, both SEO and PPC have a role to play. And they tend to work better together. Search engine optimization is competitive and can take a long time to pay off, but the results make it well worth the effort. In comparison to PPC, SEO provides a few unique benefits. With SEO, you don’t have to pay to play. Instead of buying a spot on the first page of Google, you do the work to earn it. That doesn’t exactly mean SEO is free. Doing it well means spending time and resources building a strong library of content, promoting it around the web, and building links on other websites that point back to yours. For that reason, doing SEO does involve a sizable investment. But once it starts to pay off in rankings on the first page of Google, every click you earn is free. It takes time to achieve results with SEO, but once you do, you’ll usually continue to see good results for months to come. SEO success tends to be exponential. When a webpage makes it to Page 1 of the results, its authority is only likely to grow as more people find it, click on it, and link to it. That doesn’t mean that once you get to Page 1 you can count on staying there for the long term. Other websites will be working hard to win that same spot, and Google’s algorithm updates have been known to boot popular websites from the top results overnight. But getting into the top 10, to begin with, is typically the hardest part. Once you start to get the boost in visibility and authority that comes with Page 1 rankings for relevant keywords, you can usually expect to see continued results for months to come. 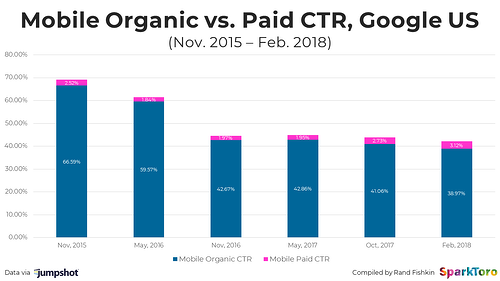 Even as PPC ads increasingly take over more of the search engine results page, organic results still earn a larger proportion of the clicks. On desktop computers, the click-through rate (CTR) for organic results is over 65 percent versus PPC’s 3.82 percent. On mobile, it’s lower (38 percent), but still much higher than the CTR for PPC ads. People can tell the difference between the results that have been paid for and those that have been earned, and more people trust and click on organic results. While SEO should be treated as an essential part of any online marketing strategy, PPC is often just as important to gaining visibility and traffic. SEO is a long game. You have to wait months to earn Page 1 spots and start seeing results. But PPC can deliver results immediately. You can be on Page 1 tomorrow for your target keywords. The tradeoff is that you have to pay for that spot, and the more competitive your target keywords are, the more you’ll spend. But you can get your website in front of people looking for what you do right away. You don’t need everyone to find your website, just the people in your target audience. PPC makes it easier to get found by those people specifically. Google Ads allows marketers to include extra information with their ads beyond the link, title and description. Ads can include ratings and review information and links to multiple relevant pages. 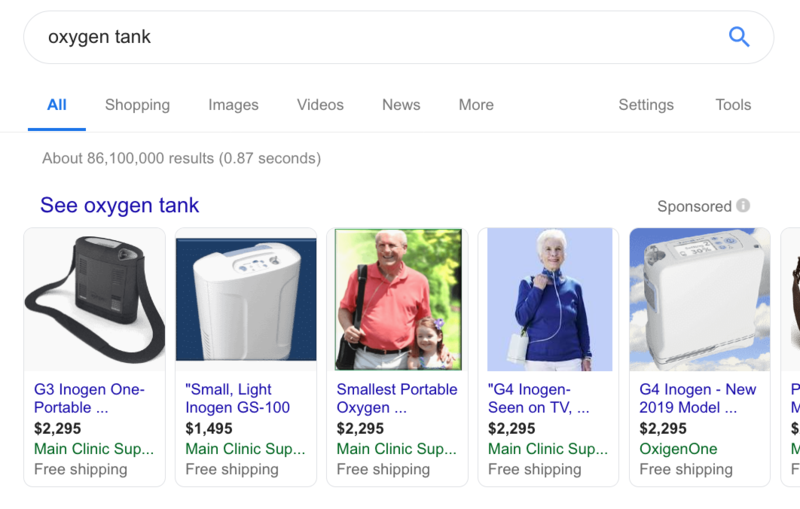 And for product ads, you can load product images and include information such as cost and whether you offer free shipping. And Google Ads also goes beyond the search engine results page (SERP) in its reach. You can place ads around the web on thousands of popular websites. With remarketing, you can personalize those ads based on people’s past behavior on your website. When a visitor checks out a particular product page but doesn’t buy right away, you can deliver them ads reminding them about the product they considered. While both have unique benefits on their own, both SEO and PPC work better when you do them together. There are three good reasons to develop an integrated strategy for SEO and PPC. A big goal of both types of search marketing is to get more clicks and traffic to your website. While SEO has long been the winner on the question of click-through rates, when you look at trends over time, PPC results have been gaining steam. Google is always trying out different configurations for the SERPs. Increasingly, many types of searches result in pages that give more dominance to the PPC results than the organic results. 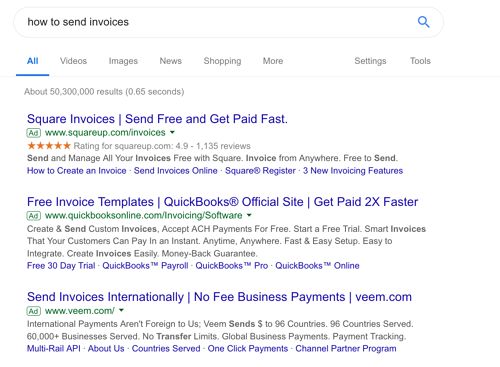 If there are multiple ads at the top of the page or featured snippets taking up space, the organic results are pushed far enough down the page that people have to scroll to see them. 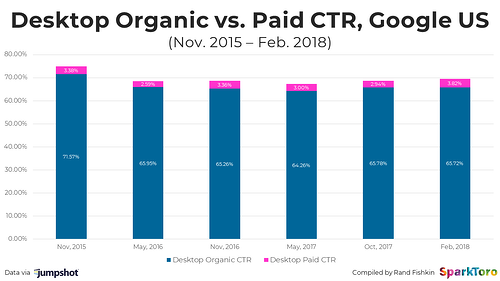 That doesn’t mean that organic search ceases to be valuable, just that its value has changed relative to paid results, and that it depends a lot on how the SERP looks for that particular keyword. The best way to make sure you still get the clicks you seek is to cover all your bases and do both. PPC doesn’t just help you get clicks: it also produces a lot of valuable data on what your audience responds to. While you’re waiting on your SEO work to start paying off and produce more data you can work with, you can use your PPC campaigns to test how well different keywords, topic areas and calls to action (CTA) perform. The demographic targeting options even let you see how different audiences you want to reach respond to different tactics. You can apply what you learn from your PPC campaigns both toward improving the results of your PPC ads and toward refining your SEO strategy. And over time, as you start to gain more organic rankings and have more data from your SEO results to analyze, your SEO analytics can help you improve your PPC campaigns as well. While buying PPC ads will not directly impact your SEO authority, it does have an indirect effect. Many of the ranking factors Google’s algorithm considers relate to how much traffic your pages receive and what people do once they’re there. You have to get visitors before you can get the benefits of ranking factors such as time on page and low bounce rates. PPC ads can deliver the initial traffic you need to improve in these categories that matter for SEO authority. But you have to make sure the pages people visit through your ads deliver relevant content worth sticking around for. If they click and then immediately bounce, you’ll be hurting rather than helping your SEO authority. To get the benefits of SEO and PPC working together, you need to merge your strategies for each. Your SEO and PPC teams should make a point of working together to get better results all around. There are three important steps to help you achieve that. Keyword research is a necessary step in both SEO and PPC. If you have two different teams doing keyword research separately, you’re needlessly doubling the work your marketers do while potentially losing out on valuable insights they can learn from combining their efforts. Have your SEO and PPC specialists team up for keyword research. 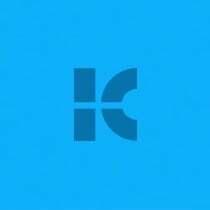 They should share insights and develop strategies for targeting the same keywords. Your PPC team will be able to spot keywords that are affordable to target and deliver high relevance and traffic, which your SEO team can then develop content around. By working together, you can determine the keywords that will deliver the best ROI and form a combined strategy for targeting them in both organic and paid results. The best way to continually improve your digital marketing strategy over time is to review what’s working as you go. But no one marketing tactic exists in a vacuum. Your PPC analytics can provide important insights you can use to improve your SEO campaign. You can test out headlines with PPC ads, and gain data on what types of topics and keywords your audience most consistently clicks. And staying on top of your SEO data will help your PPC team spend their budget smartly. Once your site gets a top ranking for a target term, they can move their budget spend to other keywords that don’t have organic visibility. And when a webpage is close to a top ranking—say Page 2—they can use PPC ads strategically to drive more traffic and hopefully boost its authority to move it further up. Because PPC ads cost money, many businesses treat them as a way to directly promote products and win a sale. While that’s a perfectly good use for them, you can also strengthen your SEO and content marketing strategies by using PPC to promote your content. This is especially worthwhile for high-value content like eBooks and whitepapers, and any content targeting keywords your PPC and SEO strategies deem especially valuable. PPC can bring greater visibility to your content and help it achieve the goals you’ve set faster. Different marketing teams within your organization aren’t in competition with one another. You’re all trying to achieve the same ultimate goals of raising awareness of your brand and driving more sales. SEO and PPC are two valuable tactics that will go further when your teams make a point of working together. By developing a shared strategy and sharing research and analytics, you’ll get better all-around results from search marketing.